→A Baby Crib Or A Pack And Play – Which Is Better? Pack and play and the cribs are both familiar and preferred choice amongst parents for their baby’s comfortable sleep, though not many parents would realize the importance of difference between these two mediums. In this article we shall address the critical differences between the two that would help you select the best option for yourself. Pack and plays are generally smaller than the cribs. This helps the baby feel the presence of someone around and makes them feel safe even when they are asleep. Cribs might not give them the feeling of being surrounded by someone as cribs offer more space. Since the cribs have open space and bars around, there are chances of getting hurt if the baby tries to expand or change his position. Those hard bars could hurt your babies. Instead, use a pack and play which is stuffed with thick layer of soft materials that would always protect the kid from getting hurt. When it comes to carrying your kid from one place to another like for picnics, or visiting someone’s place, maintaining a comfortable and familiar environment for your baby, then pack and plays would turn out to be useful and not the cribs. Cribs are stand still and cannot be folded, but pack and plays can be packed and carried and then assembled whenever required. There could be instances when you need to do some work and cannot watch the baby constantly. In order to ensure the baby’s safety, either constant eyes are required on them or you could put them in the pack and play where there are no chances of them falling from it. Once you place their favorite toys in the pack and play, you can also keep them entertained with utter safety. Cribs are not that safe and the baby could either fall or hurt themselves by hitting on to the corners or bars of the crib. Cribs always turn out to be costly as compared to the pack and plays and the difference could be as big as $100-$200. So why waste money on the crib, if you get a much more comfortable item in lesser price. 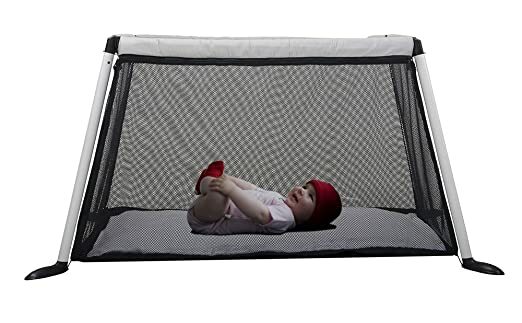 Talking about the pack and plays, there is all safety and comfortable benefits that you can reap out, but only for a limited time period as compared to the cribs. This is because as your kids grow, they would be able to jump out of the pack and plays and render the item useless after a year or two. Instead, the cribs are bigger in size and can be used for kids aging up to 3 or 4 years. When it comes to this parameter, it is completely up to you what you would take as there is no right or wrong choice. Storage space in case of the cribs are larger as compared to the pack and plays, as the size of pack and plays is small and also they are foldable so they can be kept in folded position when not in use. In this parameter, pack and plays give a major advantage. First few years of comfortable and safe sleep for a baby are extremely necessarily. Either you make them sleep next to you or make them sleep in the crib or pack and play. Inner spaces of cribs are large, so you will have to stuff its corners by pillows, so that the kid feels safe and feels the presence of someone around. In case of pack and plays, the corners are already stuffed and since the space is smaller, kid feels safe when asleep. Though pack and plays are not useful for a long time period, they are preferred for comfort at depth when the baby is asleep. These are few pointers that would help you differentiate between the cribs and the pack and plays and their utility. Ultimately the decision is your personal one, and depends totally on what your thinking is, your budget and the purpose of utility. Depending upon you and your baby, you could select either of them. Graco Pack n Play Playard with Automatic Folding Feet Review.